Susanna Wink was born on 11 August 1871 at Albany, Albany County, New York. She was the daughter of Nicholas Wink and Catherine Lasch. Susanna Wink married Andrew Rohrmiller on 27 April 1898 at Holy Cross Catholic Church, Albany, Albany County, New York. 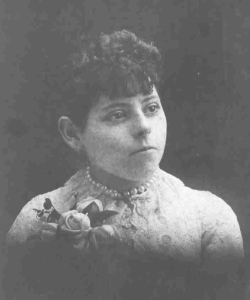 As of 27 April 1898,her married name was Susanna Rohrmiller. Susanna Wink is the head of household on the census of 26 April 1910 at 55 Broad Street, Albany, Albany County, New York, ED 7, Ward 2, Page 22A, Line 3, Dwelling 118, Family 215, Film# T624-920.